Remember when shopping was complicated? You put the kids in the car. You battled traffic and fought over parking spaces. You went to the department store. You browsed. You bought. You went home. While none of this seemed complicated at the time, the titans of mobile commerce (or “m-commerce”) beg to differ. Purchase a pair of leather gloves via the Instagram app on your mobile phone, and you’ll never want to get in your car again. Just one decade after the first iPhone was released to the public, someone watching a YouTube video on their device can touch “Click to Shop” and be instantly transported to the retailer’s mobile website. After incorporating this feature on their videos, the home goods e-commerce company Wayfair reported a 300% revenue increase per impression thanks to these new shoppable ads. This isn’t too surprising considering that half of all YouTube views happen on a mobile device. Google goes one step further by offering consumers a single-click purchase option. Touch “Buy on Google,” enter your credit card information on the Google checkout page, and wait patiently for your Organic Matcha Green Tea to arrive. Oh, and have you ordered a pizza via your Amazon Alexa? Did you know such a thing is possible? Social media influencers are more powerful than ever. High-end fashion magazines aren’t disappearing, but they’re arguably less relevant thanks to bloggers and influencers. “Shoppable posts” are translating into actual sales, which means that influencers are not only changing the way we buy clothing and accessories—they’re also shaping the tastes of the industry. Digital ads must be more engaging than ever. If you’re promoting a new product on Facebook, your ad must incentivize an immediate purchase. This forces marketing firms to put as much focus on ad design—copy, graphics, imagery—as they do on Search Engine Optimization. Brick-and-mortar businesses must adapt. All retailers are struggling with the ascent of Amazon and online shopping, and some (like Sears and J C Penney) may not survive 2018. In order to survive in the digital age, brands must rethink their business models and supplement their in-store transactions with robust online sales. 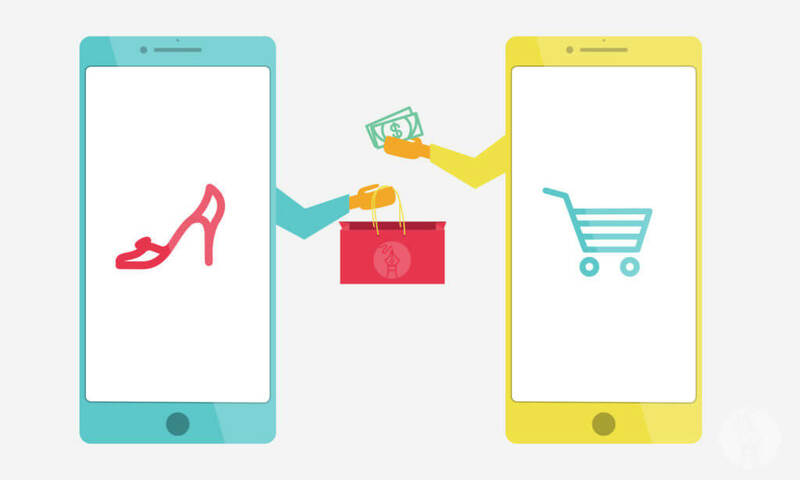 You might attribute the rise of m-commerce to the fact that we are on our phones more than ever before. But it says something too about the nature of desire. If we run out of AA batteries, Alexa can order a new pack instantaneously. When we see a pair of jeans on Snapchat, we want them now. We don’t have the patience to drive to the store and pray that they have our size. As a society, we’ve become too accustomed to modern conveniences. Technology is merely feeding our desire.